Search for the dirtiest car in Chicago! Reviewed by Edgeville Buzz on February 10, 2011 . Search for the dirtiest car in Chicago! Simon’s Shine Shop (1439 W Shakespeare) is searching the entire City of Chicago for the dirtiest car (inside and out) in it’s first ever Dirty Car Contest. 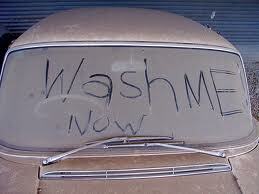 The Dirty Car Contest runs through February 25th, with the winners announced on February 28th. Those interested in entering the contest are invited to submit photos of their dirty car along with some basic information about why they should win and how their cars got so dirty. A link to a full description of the contest, along with the rules and a listing of prizes, can be found on the Simon’s Shine Shop website. Eight winners will be selected, and prizes range from $1,000 cash to an Exterior Shine from Simon’s.